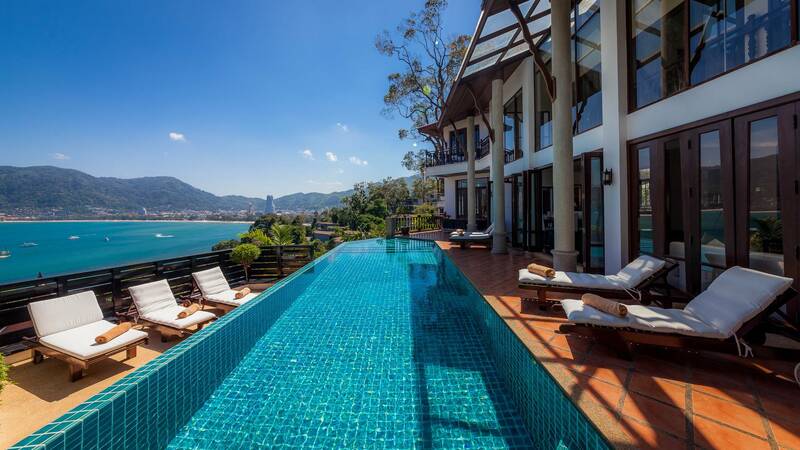 Dive into decadence amid the tropical sounds and stunning vistas offered at the exclusive Villa Baan Paradise in Patong. 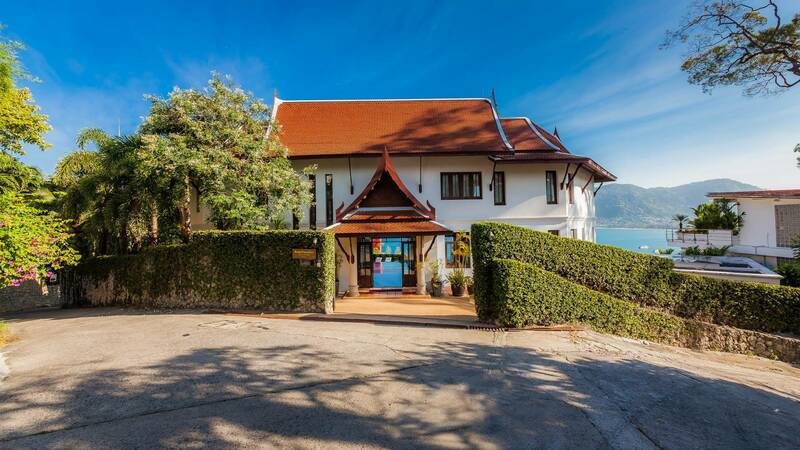 Set atop a hill at the southern end of Patong Beach near the road headed around to beautiful Karon Beach, you’ll find your luxury destination. 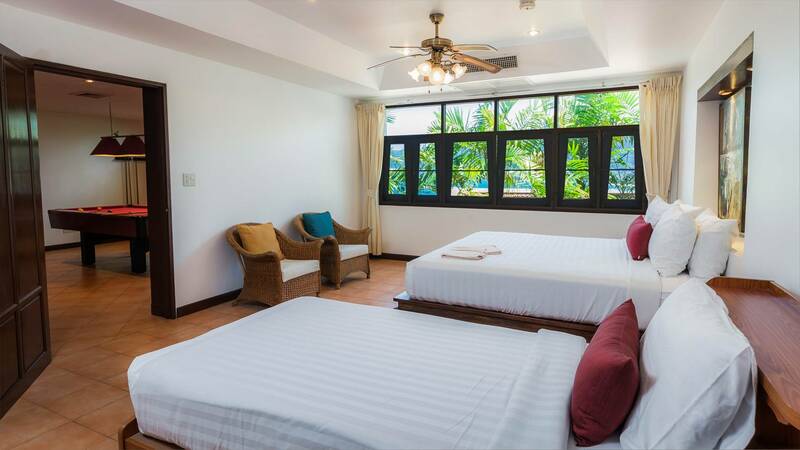 Baan Paradise is the perfect holiday residence, a short three-minute ride to beautiful beaches, endless shopping, sensational dining and the intoxicating nightlife on offer in Patong in the Kathu District. 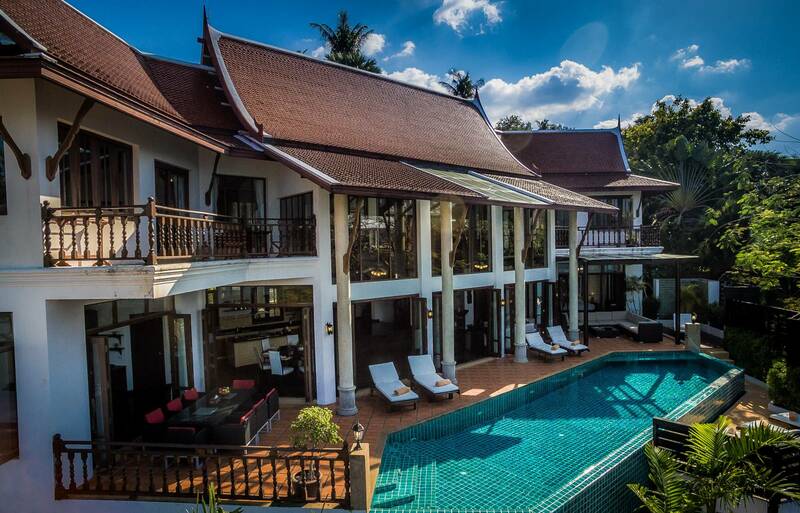 Yet your lavish villa is hidden away in complete privacy with enough solitude to enjoy a restorative luxurious Phuket escape. 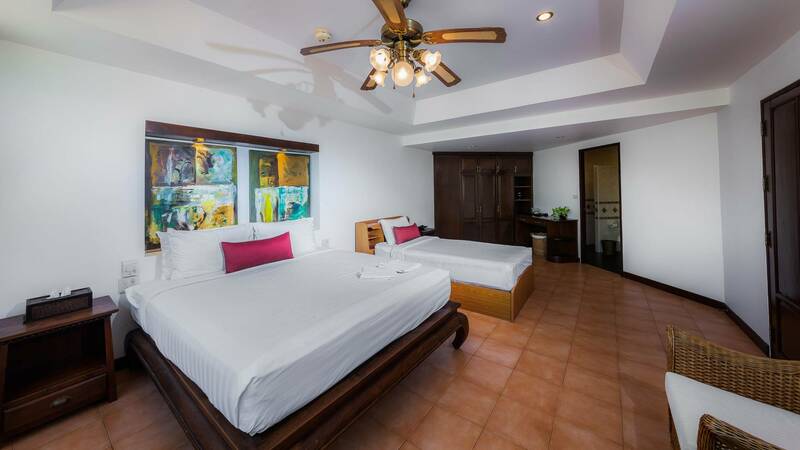 With the vibrant strip of Bangla Road drawing thousands of tourists from around the globe, you get your very own front-row seat to Phuket’s epicentre with the Patong Bay panorama set out before you and 180-degree views out over the Andaman Sea. 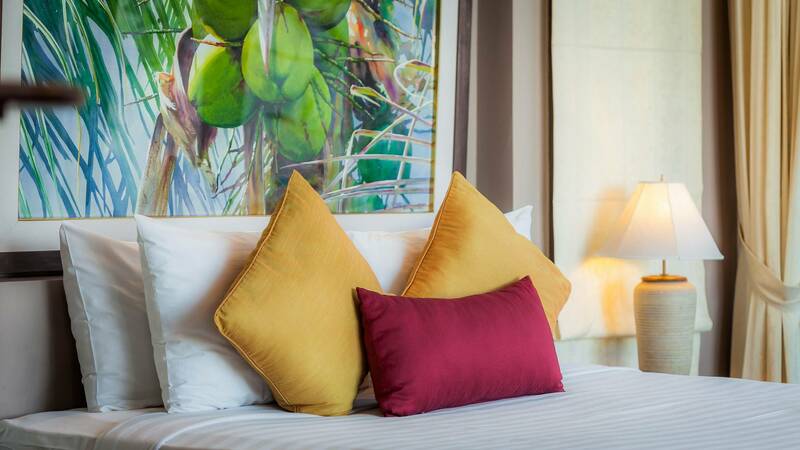 Stunning floor-to-ceiling windows afford an extravagant vista from the sumptuously appointed main living area, while the dining room dazzles at night overlooking the twinkling lights of bustling Patong. Yes, it’s all about the views – even the luxurious spa bath overlooks the bay. 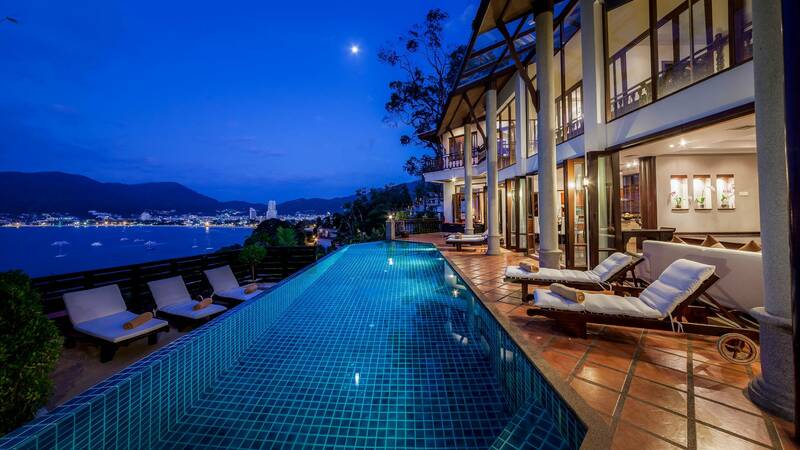 The opulent villa is part of the stunning portfolio of luxury holiday residences managed by Villa Getaways, one of the many Phuket Exclusive Villas on offer, and boasts a peaceful hilltop setting and is positioned around an infinity pool. 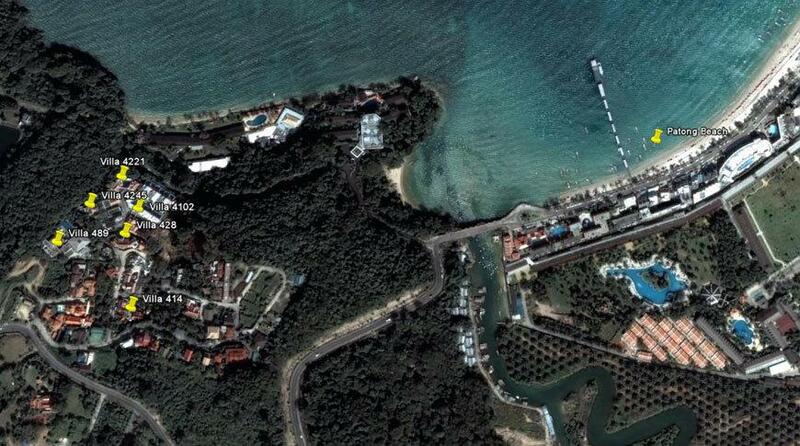 Separate wings and levels comprise 5 master bedrooms, each with magnificent views over the bay. Relax in the main living area overlooking the pool or entertain guests with the latest BOSE audio/visual entertainment system. Surround sound makes the poolside a very tempting location to while away the hours, with your own optional chef and service staff operating throughout your stay. Phuket Island offers so many treats, including friendly locals, postcard-perfect beach settings and island tours to some of the most stunning strips of sand you’ll ever see. Even James Bond has given his stamp of approval with an island chosen for the filming location of The Man With The Golden Gun named after the fictional icon. For the more adventurous you’ll find quad-biking and elephant trekking or perhaps taming a tiger is on your bucket list. 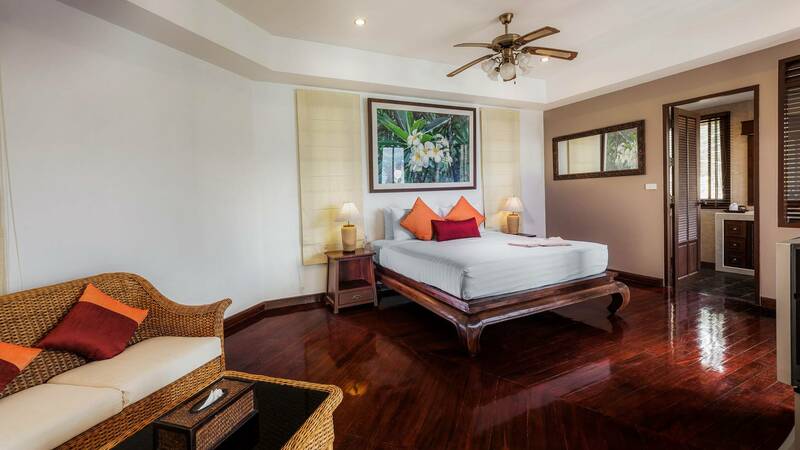 Greeting you at the airport, your own private villa manager – who speaks fluent English – will ensure your first-class vacation exceeds your expectations, while at your luxury Phuket villa two resident maids attend to your daily requirements. 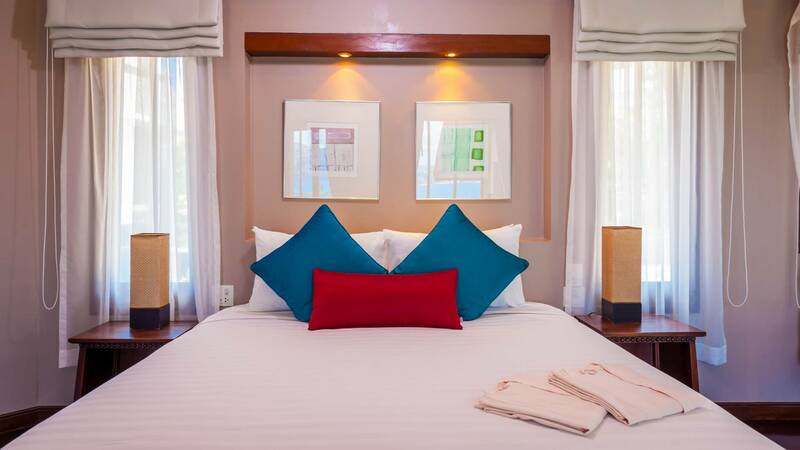 Included in your stay are complimentary soft drinks, bottled water and a case of Heineken upon arrival. 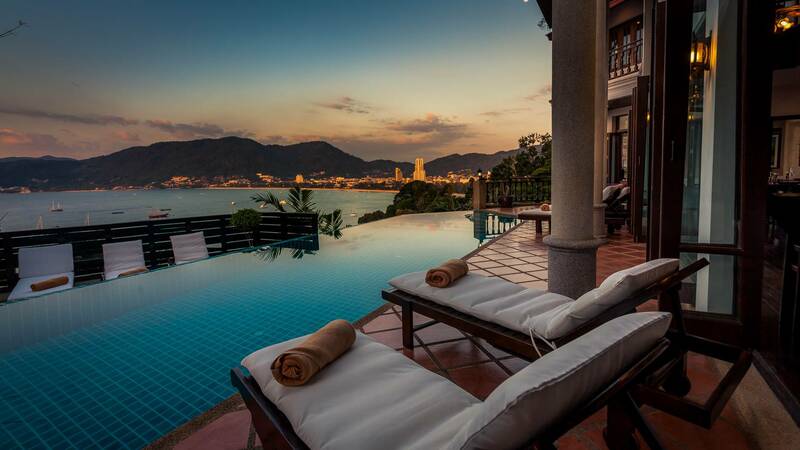 Make sure to take advantage of your villa manager when organising restaurant bookings and tours. 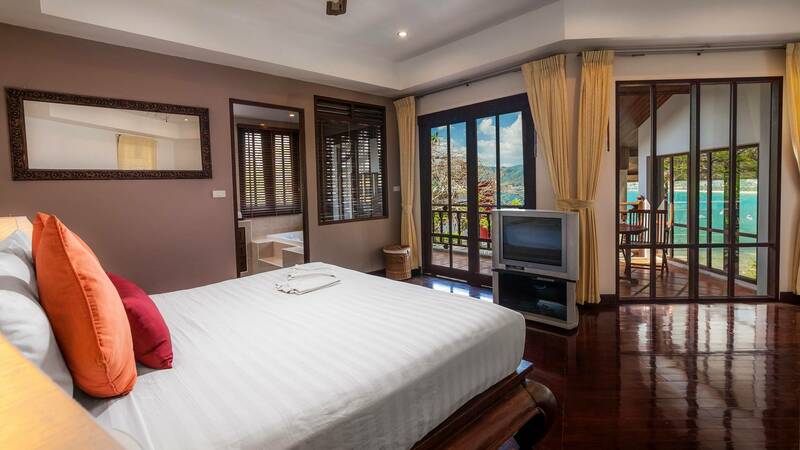 A premier holiday destination, Villa Baan Paradise – complete with friendly and accommodating staff – will help create a highly memorable occasion for your family vacation, getaway with friends or romantic interlude for two. 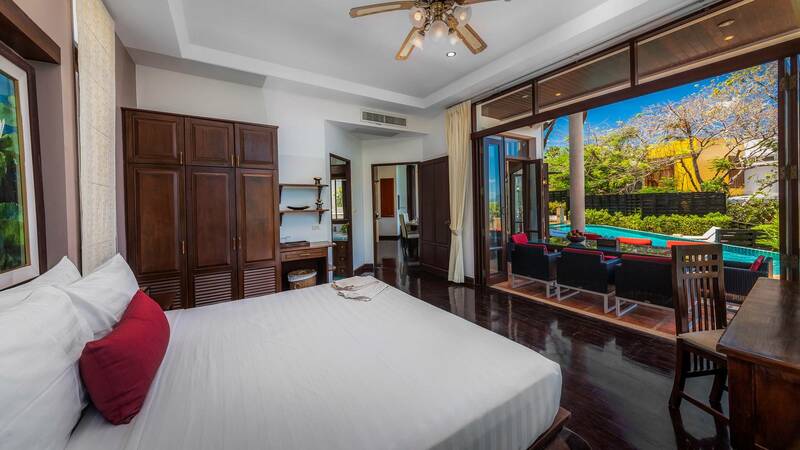 Five generously sized master bedrooms, all with spectacular west-facing sea views. 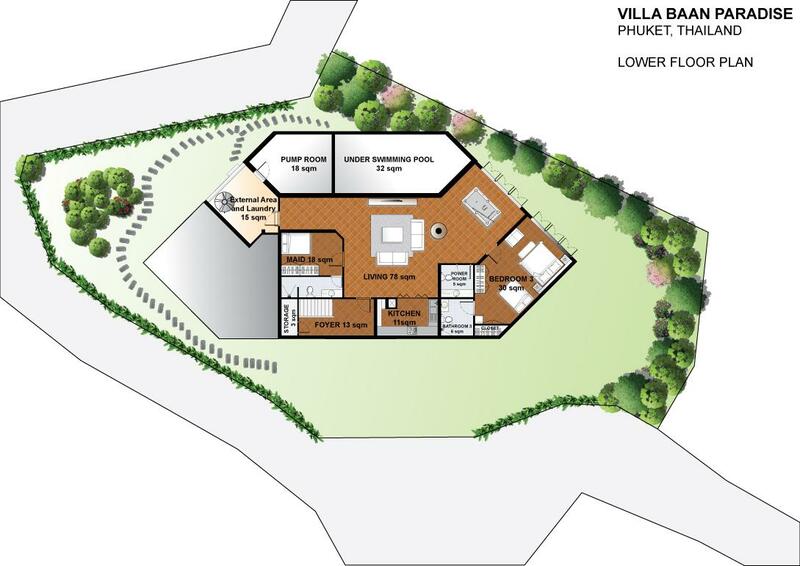 Each has its own storage and ensuite bathroom. Large comfortable beds invite you to open the curtains and lie back to wonder at the ever-changing colours as the morning sunshine glistens over the water. 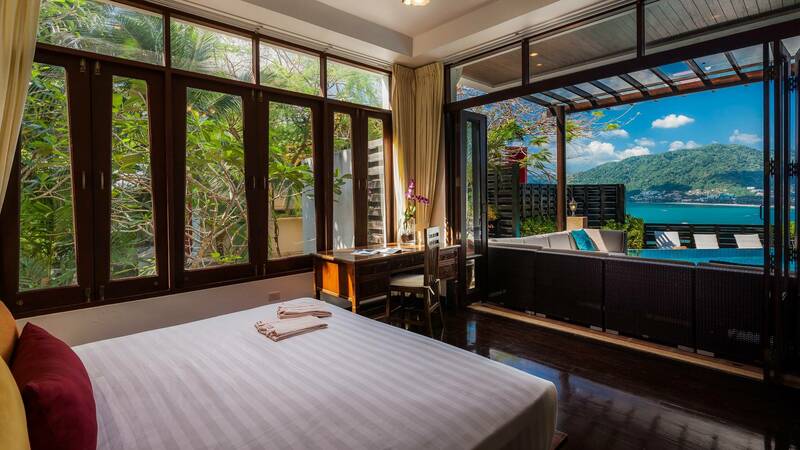 With so much on offer, while it might be difficult to leave your tranquil room, the effort will be worth it with an array of Thai temptations awaiting you. 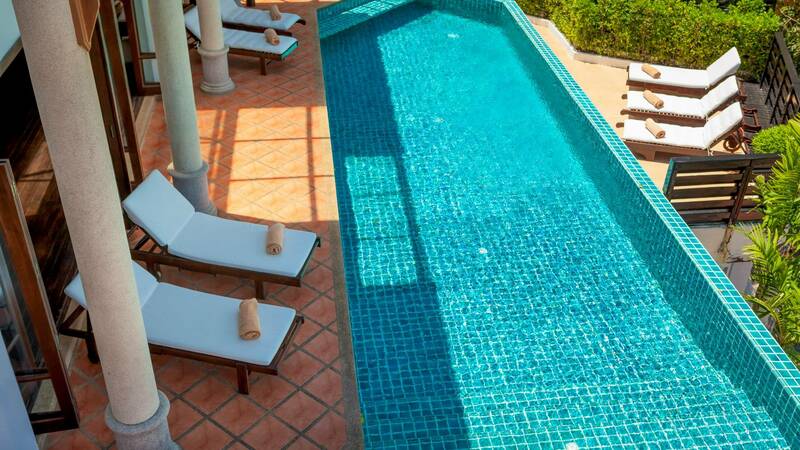 Nestled between the luxury villa and the stunning view is a breathtaking 14-metre infinity-edge swimming pool. 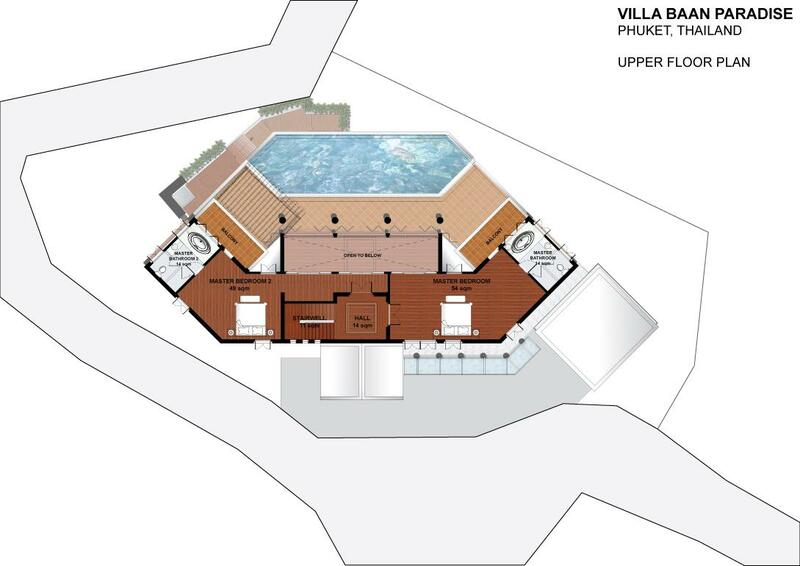 Comfortably appointed with teak timber sunbeds and massaging spa jets, you can easily spend a day – or days on end – relaxing poolside while listening to your choice of tunes. 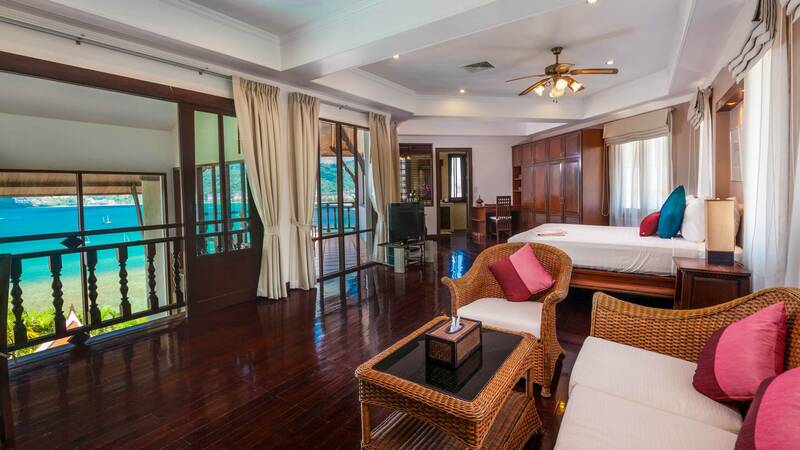 Away from the main guest entertaining area, you’ll find a games room downstairs, which operates as a handy kids retreat, fun party room or an enjoyable escape from rainy days during the wet season. Housing an impressive 60-inch wall-mounted plasma TV, the room comes complete with a surround sound home theatre that includes a DVD and Sony PlayStation II, plus the latest movies and games for you or the kids to enjoy. 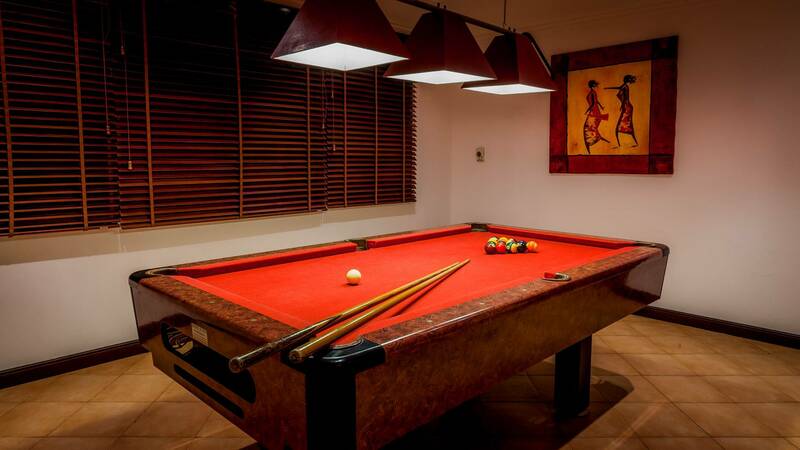 Enjoy a game of pool at the American pool table, complete with a full set of sticks and balls. 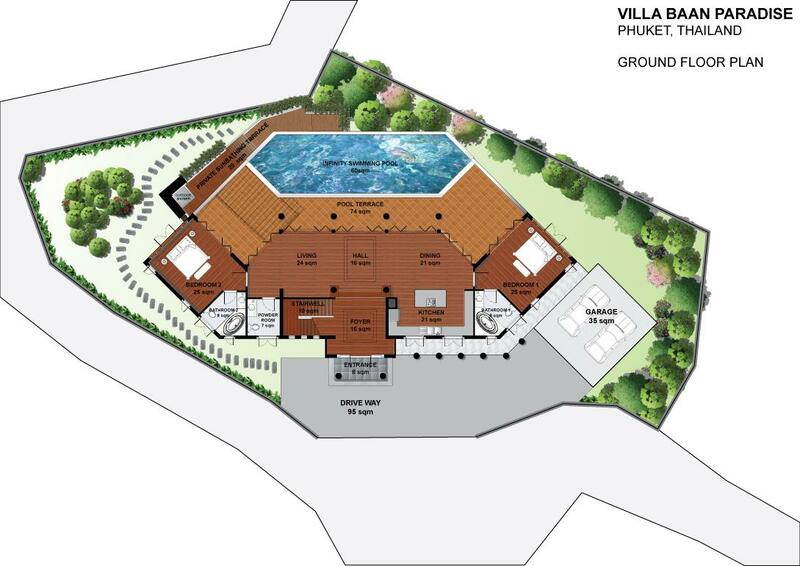 For your convenience, the entire Villa is Wi-Fi enabled. So, laptops and handheld devices can use WiFi to connect to friends, family and work colleagues back home. 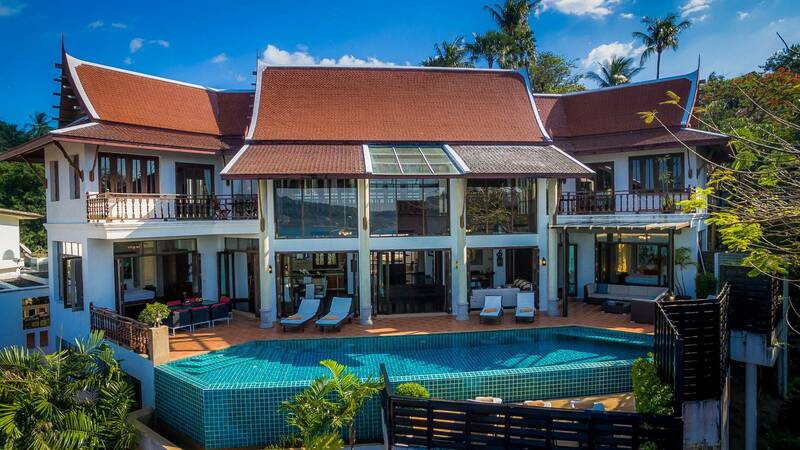 Villa Baan Paradise includes the latest broadband PC with scanner and printer so you can download images from your holiday to take home. 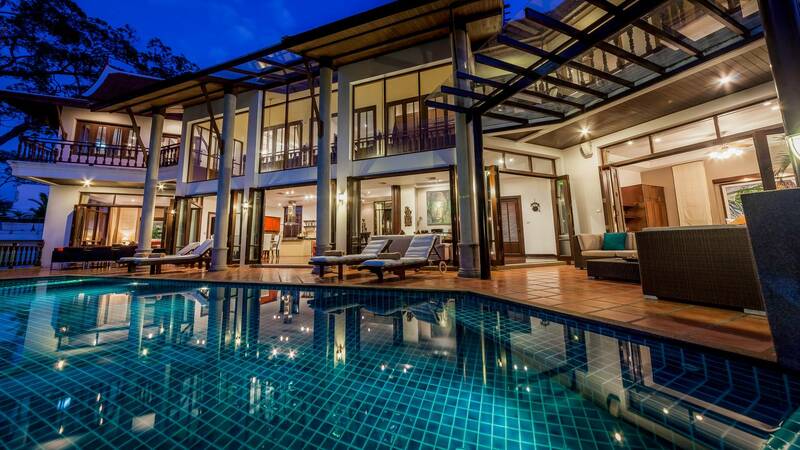 This extravagant Patong villa has two full kitchens. 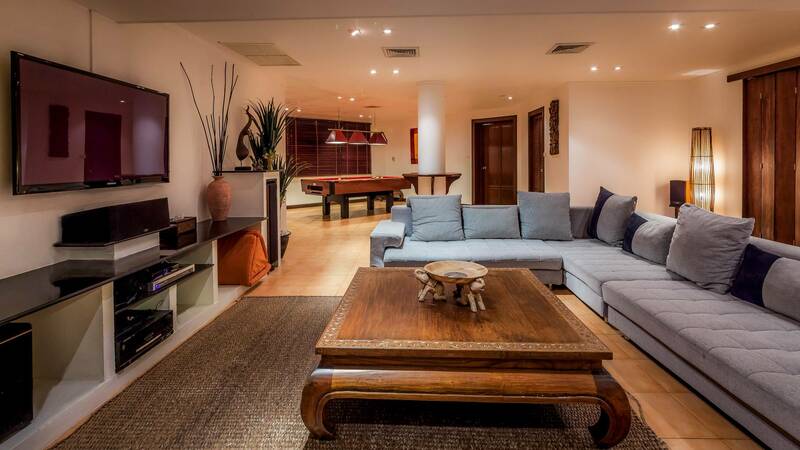 On the main level, a large open-plan chef's kitchen services both the inside dining room and poolside areas. The lower kitchen can be used for late night snacks or as a maid’s kitchen. Both are fully equipped and if you’d like to take over the cooking for the evening, the staff will help you feel right at home. 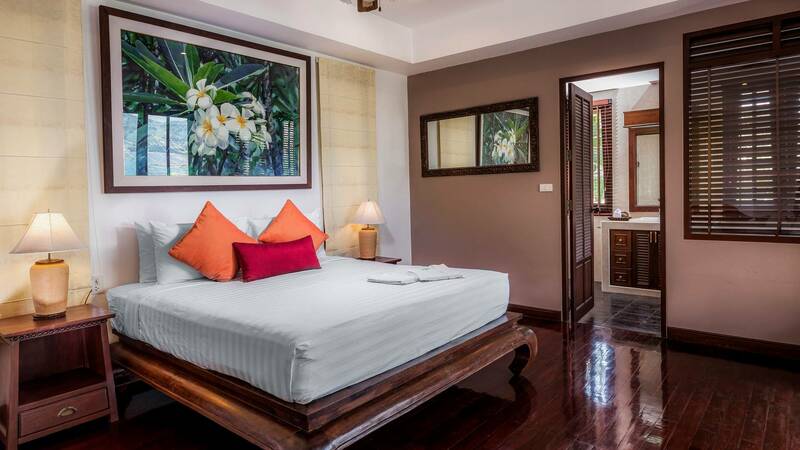 Villa Baan Paradise comes with a minimum of two resident maids to look after all your daily needs. Your private villa manager speaks fluent English and will handle your personal interests, such as restaurant bookings, tours and recommendations. She can arrange afternoon massages and even more exotic events, such as poolside cabarets if you’re throwing a party or a baby elephant to entertain the children. Feel free to discuss all your needs with her. Bottled water throughout your stay, as it’s not recommended you drink tap water in Thailand. Complimentary airport transfers to and from Phuket International Airport. Check-in time 15.00pm and Checkout time is 11.00am. Late checkouts can be arranged at an additional cost and are subject to availability.